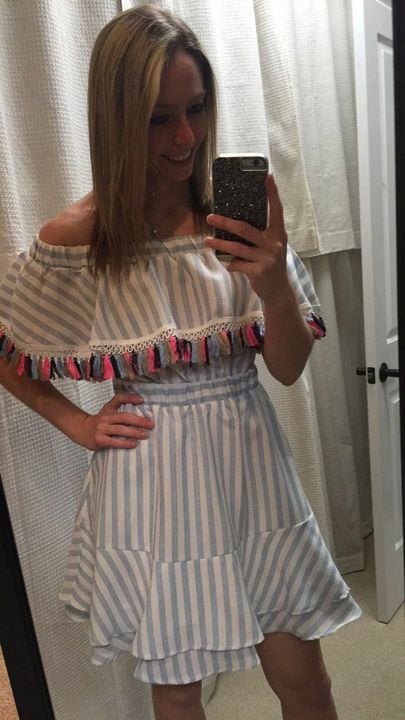 This Blue and White Off Shoulder Striped Short Dress with Tassels is adorable. The perfect Summer dress in striped design with tassel detail! I bought this dress for my birthday dinner and I am in love with it. Everyone loved it, I even got tracked down from one of the employees at the restaurant to find out where she could get it. I love the details with the tassels on it. Plus it has pockets.